CARON-Wonder art Latch Hook Kit: Macaw. These small kits are ideal for beginners or quick weekend projects. When finished they can be made into table top decorations or to decorate a wall! 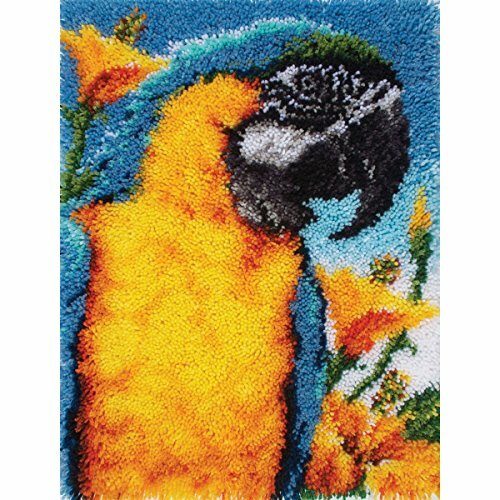 This package includes one 20x27 inch macaw canvas (50% polyester/50% cotton) pre-cut rug yarn (100% acrylic) illustrated instructions on how to latch a hook and one easy-to- follow chart. Latch hook tool and binding not included. Hand wash or dry clean. Made in USA. If you have any questions about this product by Spinrite, contact us by completing and submitting the form below. If you are looking for a specif part number, please include it with your message.